Austin is the capital of the U.S. state of Texas and the seat of Travis County. 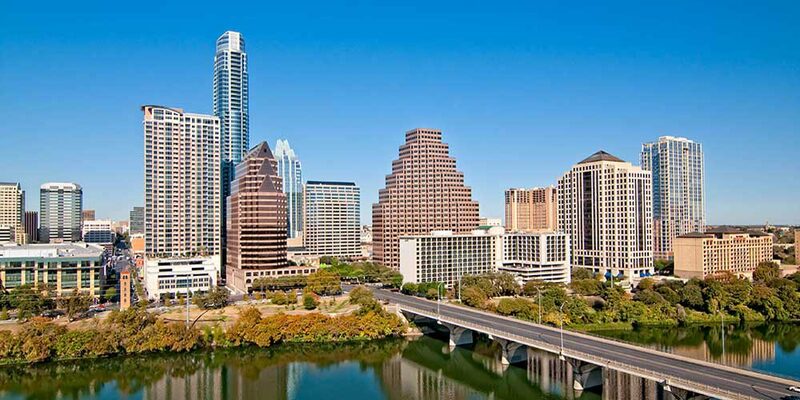 Austin is the 11th-most populated city in the U.S and the 4th-most populated city in Texas. It is the fastest growing of the 50 largest US cities and the second largest capital city after Phoenix, Arizona. Located in Central Texas in the foothills of Texas Hill Country, the city is home to numerous lakes, rivers, and waterways including Lady Bird Lake, Barton Springs, McKinney Falls, the Colorado River, Lake Travis, and Lake Walter E. Long. It is cultural and economic center of the Austin–Round Rock metropolitan area, which had an estimated population of 2,010,860 as of June 1, 2016. The Greater Austin metropolitan statistical area had a Gross Domestic Product of $86 billion in 2010. Austin is considered to be a major center for high tech. Thousands of graduates each year from the engineering and computer science programs at the University of Texas at Austin provide a steady source of employees that help to fuel Austin’s technology and defense industry sectors. The region’s rapid growth has led Forbes to rank the Austin metropolitan area number one among all big cities for jobs for 2012 in their annual survey and WSJ Marketwatch to rank the area number one for growing businesses. By 2013, Austin ranked No. 14 on Forbes’ list of the Best Places for Business and Careers (directly below Dallas, No. 13 on the list). As a result of the high concentration of high-tech companies in the region, Austin was strongly affected by the dot-com boom in the late 1990s and subsequent bust.